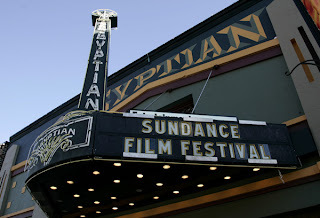 For the first time Daily Film Dose will be covering the Sundance Film Festival. It’s the 25th year, and despite an attempted boycott and an economic downturn the Festival is going full speed ahead. As usual the U.S. Dramatic Program is comprised of mostly premieres, showcasing a new crop of fresh perspectives on cinema. As with the Toronto International Film Festival I will be covering a mix of high profile star-driven films and some promising no name independent films. Documentaries shine at Sundance, and this year is highlighted by “The September Issue”, R.J. Cutler’s documentary on Anna Wintour, that fashion publishing diva famously played by Meryl Streep in “The Devil Wears Prada.” Doug “Surfwise” Pray is back with “Art and Copy” about the effect of advertising on modern culture. “William Kunstler: Disturbing the Universe” tells the story one of high profile civil rights lawyer William Kunstler. From the U.S. Drama Competition, there’s been surprisingly little buzz on Robert Siegel’s directorial debut, “Big Fan”. But this film is high on my hit list. If Robert Siegel rings a bell, that’s the talented scribe of “The Wrestler” and former editor in chief of ‘The Onion’. “Big Fan” was the spec script which drew Darren Aronofsky’s attention to Siegel. This low budget dark comedy is also low on the radar but with much potential to break out. Lee Daniels’ “Push: Based on a Novel by Sapphire” is being hyped by the Festival programmers as ‘setting a new standard for cinema of it’s kind.’ “Sin Nombre”, a Focus Features film, will appear to launch Cary Joji Fukunaga as a bold new filmmaker to watch. Festival head honcho Geoffrey Gilmour describes it as, “at once a love story and a chase film, a thrill ride and a vision of an apocalyptic hell.” And how about Marc Webb’s topsy turvy romance featuring and irresistible pairing of Joseph Gordon Levitt and Zooey Deschannel? In the World Drama Competition how can I resist “The Clone Returns Home” a Japanese sci-fi flick with what's described as deep philosophical Solaris-like tones. The French/Liberian/Belgian co-pro “Johnny Mad Dog” piqued my interest as a potenial African “City of God”. And look out for my review of “Rudy Y Cursi” the reteaming of Gael Garcia Bernal and Diego Luna with their “Y Tu Mama Tambien” co-writer Carlos Cuaron – of yeah, Guillermo del Toro, Alejandro Gonzales Inarritu and Carlos’ bro Alfonso Cuaron produce. As well, look out for postings on my general impressions of this Sundance virgin’s first taste of the festival, and a number of filmmaker interviews. Enjoy.